Spotlight on Guinness: OUR REGARDS TO BROADWAY! This Thursday, March 20, the Guinness Staff will present Our Regards to Broadway, a look at Broadway show tunes as heard on mechanical musical instruments. During the program, we will explore the evolution of musical entertainment from early comic operas and operettas to vaudeville and variety, concluding the evening with musical comedies and the Broadway musical. In my last post, I highlighted a few of the machines that will be played, and now I’d like to focus on the music, from Savoy Operas to the age of Gershwin. Attributed with the creation of the Savoy Opera, producer Richard D’Oyly Carte encouraged the legendary collaboration of W.S. Gilbert and Arthur Sullivan. Their comic operas satirized contemporary issues and trends, but also tremendously influenced the development of musical theatre. 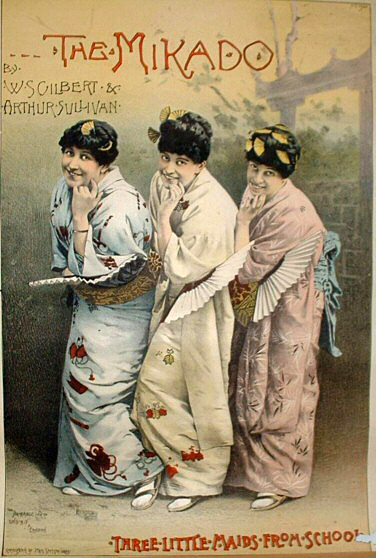 The duo’s most successful show is The Mikado, from which a selection will be heard on a Mermod Freres cylinder musical box. Even today, it remains one of the most frequently performed Savoy Operas. The musical comedy Floradora by Leslie Stuart opened on the London stage in 1899 and premiered on Broadway in 1900. Aside from being a humorous story set on the island of Floradora, with their main industry of extracting the essence of the Floradora flower to manufacture perfume, the big attraction was a sextet of English Girls, or later known as the Floradora Girls. Over seventy women held these roles during the first run of the musical, which consisted of 455 London performances and 552 shows on Broadway. The role required that each woman be beautiful: 5’4” tall and weigh 130 pounds! 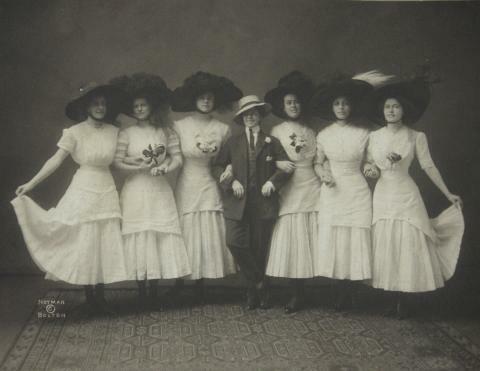 Needless to say, many of the girls eventually left the show to settle down with young male admirers. Nearly everyone is familiar with 1903 operetta, Babes in Toyland, written by Victor Herbert and Glen MacDonough, thanks to the classic film version. Even today, audiences are entranced as various characters from Mother Goose nursery rhymes are woven together into a Christmas-themed musical extravaganza! One of Herbert’s most well-known tunes, Toyland,will be heard on the Mira disc musical box during the program. 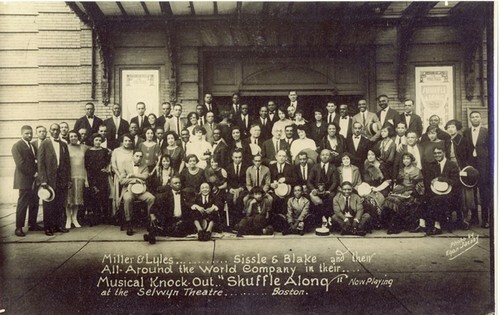 Shuffle Along, a musical comedy by composer Eubie Blake and lyricist Noble Sissle, featured an all-black cast and was the most significant achievement in African-American theater of its time. The show opened in 1921, first in Washington, D.C., followed by a Broadway premiere. Running for 504 performances, the show launched the careers of Josephine Baker, Adelaide Hall and Paul Robeson. This landmark production legitimized African-American musicals and contributed to desegregation of theaters in the 1920s by giving many black actors their first chance to appear on Broadway and allowing African-American audiences to sit in orchestra seats rather than being relegated to the balcony. One of the show’s most popular tunes, I’m Just Wild about Harry, will be played on an Ampico Reproducing Piano. The songwriting team of Jerome Kern and Oscar Hammerstein II brought Edna Ferber’s novel Showboat to the stage in 1927. Serious themes of racial prejudice and enduring love were put to music in this groundbreaking musical, and its well-known tune, Ol’ Man River provided a contrast of the struggles experienced by African-Americans with the endless, unemotional flow of the Mississippi River. The song sounds quite interesting as played on the Style L Coin Piano, or nickelodeon. Pop quiz: who said this? Ladies and gentlemen, my mother thanks you, my father thanks you, my sister thanks you, and I thank you! The answer? The man who owned Broadway – George M. Cohan. Cohan is considered by many to be the first superstar in show business due to his inexhaustible talents as an actor, singer, dancer, songwriter, playwright, director and producer. 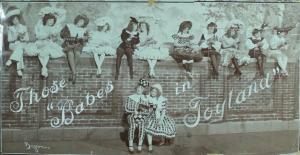 He began his career in vaudeville with his family, and they took to the stage in 1901 for Cohan’s first stage musical. But it was Little Johnny Jones, which opened in 1904, that had some of his most recognizable tunes. 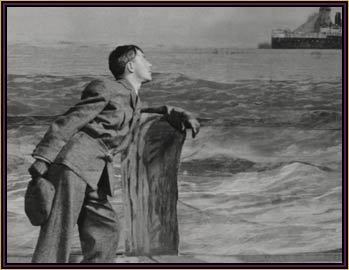 In the above photo, as Johnny Jones gazes upon the departing ocean liner, he begins to sing these words: Give my regards to Broadway, remember me to Herald Square…. We will listen to different recognizable tune from this show on the Encore Automatic Banjo: Yankee Doodle Dandy. 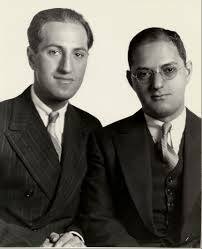 The 1930s and 1940s are considered the heyday of stage and film musicals, and we’ll listen to the songs of George and Ira Gershwin and Cole Porter on the Duo-Art Player Piano. 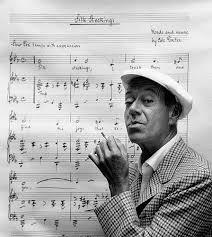 From the 1930 musical Girl Crazy, Gershwin’s I Got Rhythm, sung by Ethel Merman, has become a jazz standard. Merman was also starred in Porter’s 1934 hit, Anything Goes, the first of five musicals he wrote that featured her. What could be better than to close with these giants of Broadway! Whether we call it vaudeville, variety, operetta or comic opera, ultimately, the musical is a living art form. It tells stories – both comic and tragic – through song. We hope to see you Thursday night, and look forward to entertaining you with the sounds of Broadway!